(A2/CIU) (Lima) 1998 - Current. Photos. Framable Color Prints and Posters. Digital Sharp Images. Aviation Gifts. Slide Shows. 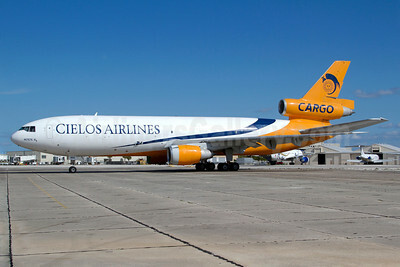 Cielos Airlines (Cielos del Peru) McDonnell Douglas DC-10-10 (F) N68044 (msn 46903) MIA (Bruce Drum). Image: 104978. 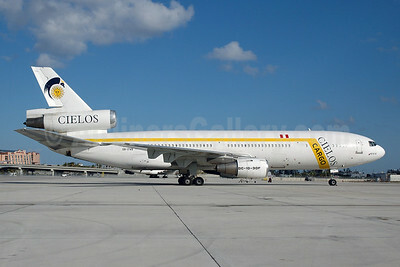 Cielos Airlines (Cielos del Peru) McDonnell Douglas DC-10-30 (F) N614GC (msn 46931) MIA (Bruce Drum). Image: 100545. 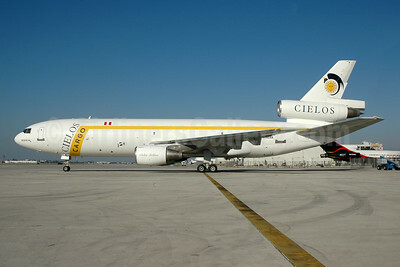 Cielos Airlines (Cielos del Peru) McDonnell Douglas DC-10-30 (F) N900AR (msn 47888) SFB (Luimer Cordero). Image: 908063. 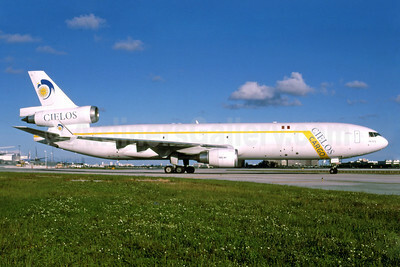 Cielos Airlines (Cielos del Peru) McDonnell Douglas DC-10-30 (F) OB-1749 (msn 46891) MIA (Bruce Drum). Image: 100544. 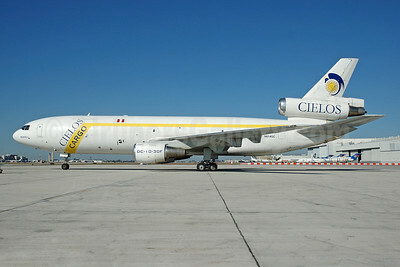 Cielos Airlines (Cielos del Peru) McDonnell Douglas MD-11 (F) N705GC (msn 48412) MIA (Bruce Drum). Image: 102329. 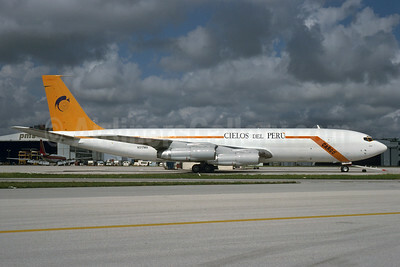 Cielos del Peru Boeing 707-321C N517MA (OB-1716) (msn 20017) MIA (Bruce Drum). Image: 103921.